Let me give you two reasons that my Monday is a good one. I have crazy, wavy hair and it is VERY necessary for me to use a straightening iron. But I have always just bought the cheap kind sold at Wal-Mart while secretly coveting a Chi. I never wanted to break down and buy one - however my current iron is on it's last breath and this is something I use every day - I really should have a quality iron and I heard it makes all the difference. Sister - let me testify! We were at Sam's yesterday and there it was - a Sam's special buy. I thought about it long and hard and Scott said to get it if it would make me feel better. I knew good hair will always make me feel better. So I got it and after I used it today - I ran in and kissed him - because Oh my goodness - my hair is so much smoother and straighter and so salon like! :-) LOVE IT! LOVE IT! Now I got this off of somebody's blog I read recently but for the life of me - I could not find it again. So if you did this - PLEASE let me know so I can give you credit. Fill muffin pans about half full and then take chocolate cookie dough like above and put down in the batter (please excuse my old gross muffin pan. It's been through the ringer). Then bake for 18-20 minutes at 350 and when cooled - top with the above - chocolate frosting and mini morsels. I decided to forget the morsels because it almost seemed like TOO much chocolate (as if there could be such a thing). You will notice there are only 11 cupcakes on that platter. I HAD to test taste. I wouldn't want to give out something bad. Oh - it was NOT bad, not bad at all!!! It was DELICIOUS! This recipe makes 24 cupcakes but there are only 7 people in my office this week so that would be crazy. I'm saving the batter and making them later this week for something else. P.S. Ya'll are amazing! I'm BLOWN AWAY by my friends - both in blog and real world. Thanks for your stories, encouragement and friendship. I will say that I'm still sad BUT I have a total peace that God is in control and I just have to be patient. I know that peace is one that only HE can give and it comes from being covered in prayer. I just want for all of you to get to see God's glory in the answers to your prayers for me. I know nothing makes me more excited than when I pray for someone else and then see my prayers get answered! I want you to see His hand. And I want to pray for you too! I just love all of you!!!!! When I have the baby (or the twins!) - can I have a "Sip and See" at my house and ya'll can all come and see that God is good and let me hug each one of you!?!?!? I'm the same way...about the chi! I think I'm going to break down and get me one off of ebay! It's amazing how much better it is than the other ones! I'm SOOOO making those cupcakes!!!! Yum-O! I'm sitting here at home, hungry, but can't eat junk since I can't work out. Oh how I want one of those cupcakes though!!!!! TWINS!!!!!!!! That's what I'm praying!!!!!!!!! Those cupcakes look amazing!!! I'm so praying twins for you! Oh my gosh, those cupcakes look "to die for." I am getting ready to head home and I think I just might have to make them!! I can't believe that Sam's had Chi's. I might have to head over there and get one!! Girl, I love my chi. LOVE it! And as a pastor's wife, it was a total splurge...but I have to admit, I am on my second one! Just too good for us girls with wavy hair. Those cupcakes look amazing. Have I ever told you that I bake when I have a hard day? Adam will get home from work, and there will be either dozens of cookies on the counter, a new cake, or cupcakes, and his first question is "Honey, are you ok?" It is total therapy for me, for some reason. Unfortunately I am on a gross yeast-free diet ordered by my doc for the next month, but when I am off, cupcakes here I come! God is good and the Chi is a lifesaver. I too used the cheap kind for a number of years and finally made the plunge. Like most of us who straighten our hair, I have naturally wavy hair. Not the pretty kind, but the yucky, wavy kind. The Chi allows me to do my hair in ten minutes flat...great for getting ready with a little one. The cupcakes sounds yummy and I am already looking forward to the "Sip and See!" Thank God for Chocolate! Look at you pointing out positives in the little things at this hard time. You really are such an encouragement to me. My heart breaks for you and am praying that God gives you the peace, comfort, and understanding that only he can give. Sending you a big hug via blog world. Wish I were there to help you eat those cupcakes!! Kelly, you are so amazing. :) You're the strongest, happiest, most faithful person I know. To have had such a challenging day yesterday, but you're "back at it" again today--doing things for other people. You are a bright, shining light for the Lord--even when you are sad. And I totally agree about the Chi--can't imagine trying to fix my hair without it now (I wish I'd had it for the first 28 or so years of my life!) Be careful not to get the cord wrapped around the bathroom cabinet knob...it's likely to cause you to drop it and break it and have to have your husband shop on ebay for another one (I speak from experience). A Chi is one of those products that comes along only a few times during your life time that TRULY revolutionizes your entire way of life! For me, I have to say that my Chi and DVR are the only 2 things I can put into that category! Those cupcakes look delicious - can't wait to make them. So Twins?? I personally think that is the best thing to pray for. 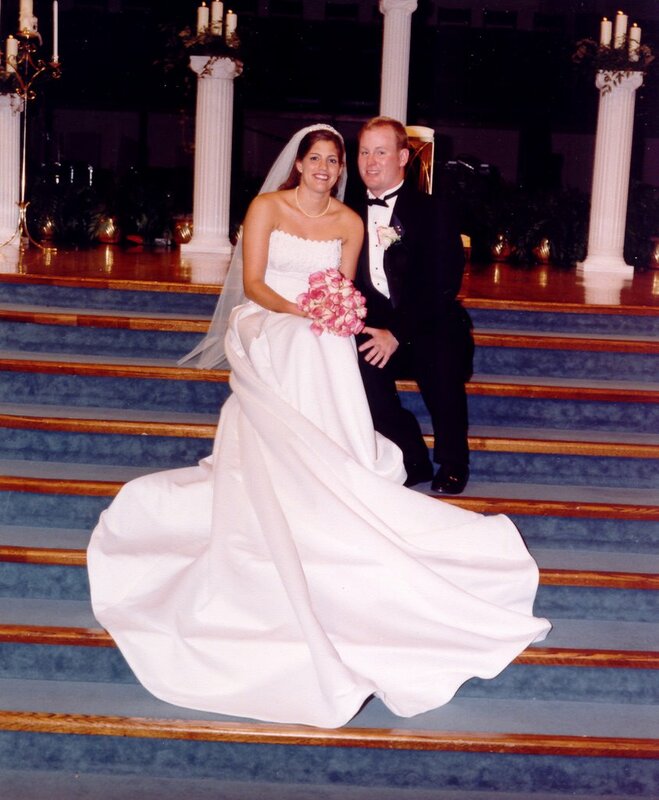 If I could do it all over again and be promised twins again I would so do it!!! Praying for twins!!!! Wow, I am going to come up with an excuse to make those cupcakes! I can completely relate to the Chi. I had bought cheap ones for years. Then, I used by hair dressers for a few days and made Bryan come watch the difference in how it straightens. I bought mine through ebay. I was a little nervous at first but it was brand new and still in the package. It came from a wholesaler I think. You'll love the Chi. It pulls the hair a lot less if at all. Yum, yum, yum and go chi go! I'm glad that there were a few things to brighten your day. 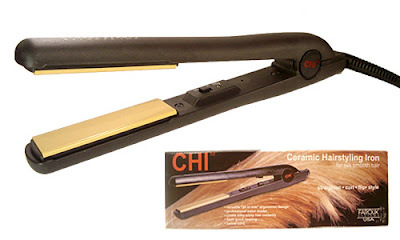 I would blow dry my hair straight in high school, but I've never used a chi. I've heard they are awesome. Those cupcakes looks fantastic as well. I would love for all your readers to come to a "Sip and See" to meet the baby! My hair is just like yours--basically a lion's mane that has to be tamed every morning!! :) And can I tell you that the CHI has changed my life!! I think it and my computer are the two toys/gadgets that I couldn't live without! How is it going washing your hair every other day by the way?? Good hair, I mean great hair is a must and mine has been anything but lately! We need a picture of your great hair!! I can't wait to try this recipe. Thanks for sharing. Of course, I'll come up for a sip n see. It's been way too long since I've see you. What 5 1/2 years? Glad things are looking a little brighter for you today! Oh my goodness Kelly. Jessica's Dad & I were at Sam's yesterday. Just think our paths could of crossed too, Ha!!! And you might have to of taken a picture as proof, you might not recognized me though but I would know you & Scott. I didn't see those Chi iron's where in Sams were they? I have never used a iron but I do have alot of curl in my hair. That I usally don't fight it, just put some gel in it & let it air dry. Too much time & work to go against what I have. But I'd like to try an iron, how much did Sams sell them for? Just leave a comment on Jessica's blog & I'll see it. So glad to hear you are having a good Monday, You & Scott are in my prayers. May the Lord give you the peace you need to accomplish what ever you set out to do each day. In God's timeing he will give you the desires of your heart. Just know Kelly that you have so many friends that you have never meet that care for you & wish you & Scott the very best. Be strong & relax in the arms of Jesus knowing he will take care of you & give you the desires of your heart. Anonymous was K.Barnes= Jessica's Mom. I always have ahard time posting stuff,ha!!! My mom is a goose! Ha! She cracks me up with her comments! I forwarded your response to her. She is actually really close to you. She works at the ANB main office off the bypass across from the new walmart! Honey, when you get pregnant, I will SO be driving to your house to see you! I think I may actually know my way around in there to, thanks to your Christmas tour! Ha! Well, just know this girl in Georgia will definitely keep praying--and you can go ahead and sign me up for the Sip and See! You are simply darling!! We love you Kelly! And, those cupcakes look divine. My sister loves her Chi! And I love your cupcakes! I'm so thankful you are feeling better. You will be lifted in prayer, sweet girl! Have a great week! OH MY WORD those cupcakes. I'm drooling. Also, thanks for the chicken supreme recipe, I made it tonight and it was a big hit. I sort of changed it some b/c I couldn't find dried beef here (where do they keep it in the states, what aisle?) and I didn't have sour cream, so I used cream of chicken soup and crem of mushroom soup mixed with herb and onion cream cheese....yum yum yum. Girl, I'm on my second CHI. My first one lasted 4 years. I have naturally curly hair, and I used to fight my hair like crazy in that Arkansas humidity. I haven't had a bad hair day since I bought my first CHI six years ago. It is worth every penny! So glad you're having a better day! Your cupcakes look yummy...except for the chocolate part. LOL! You know I'm an anti-chocolate girl don't you? It's a blessing in disguise, really. I'm with you on the Chi! It's the best thing that has ever happened to my hair! You can bet I'll be first in line at that Sip and See! Hugs! 1 - The CHI is this naturally curly/frizzy haired girl's very best friend. I will never use anything else! 2 - Those cupcakes are TO.DIE.FOR. I have got to try it! 3 - I am SO there! oh yes the Chi is a wonderful contraption that has saved me from the dreaded frizzies! I'm all about the "Sip and See". Would love to sit down and catch up. I'd make a special trip to Arkansas for that one. You are in our prayers daily. Love ya! I broke down and bought a Chi last year and I adore it! I found it on ebay and it is Pepto Bismol pink!!! It works so well though, that I overlook the color. Those cupcakes look divine! It's my turn next month for birthday cake duty at my office. I may have to give these a whirl! I also LOVE my Chi...finally asked for one a couple of years ago for Christmas....couldn't live without it!!! Here is a tip though: my hairdresser says that the Chi gets WAY hotter than any other straightener which could damage your hair. I use a heat protectant spray (from Nexxus) to help prevent damage. Glad your day was brighter! Chocolate cake and chocolate chip cookies combined-WOW! I know everyone in your office enjoyed those. I'm catching up on blog reading and saw your last post. I am so incredibly sorry. I am still believing in faith for God's gift to you and all the disappointment along the way is only going to make that victory so much more HIS!!! Still, I know the sadness can be overwhelming and for that I am truly sorry. Hang in there, sweet girl. Sounds like a great Monday to me! Good hair and cupcakes...Amen to both! I absolutely love the Chi! You'll never be able to go back to a normal straightener now! I love your recipes! Keep 'em coming. I made the chicken, green bean, and potato deal tonight. It was delicious! I love a Chi too! My mother-in-law is a hairdresser, so I could get one cheaper but I still haven't broke down! I need to though! I love the chi! My hair will never be the same! Did yours have the crazy warning tag telling you not to straighten your lashes? Kelly...Well I may be a new blog friend soon :) I found your blog through a comment you left on Beth Moore's blog and well you know the rest is history. 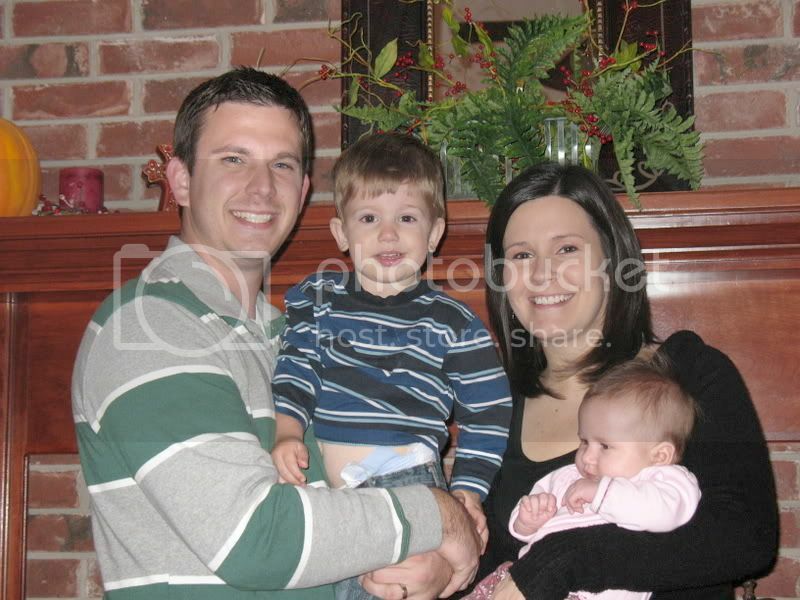 But I then saw on your links where you are friends with Flint Harris (who I worked with at Kanakuk)...well then I clicked on their blog and saw they are moving to Waco...WHERE WE LIVE! :) I promise we'll be nice to them. It's hard to move I know ....we've moved 4 times thus far! I enjoyed one of your posts so much I blogged about it and now have that song on mine for the time being. I got a Chi for my birthday this past August and it's great! Oo those cupcakes look oh so yummy! Chocolate is my weakness! I'll have to make those cupcakes! Thinking of you and praying too! WORD! The Chi is the best hair secret EVER. What did I do without mine? I guess I always walked around with fluffy hair. And, yes...I did the fake Chi thing for awhile & once I got the Chi for Christmas several years ago...I could never go back! Those cupcakes sound so yummy. Now I am craving CHOCOLATE!! glad to hear your spirits are lifting. The cupcakes look very good. I also would like to have a CHI. I don't straighten my hair enough to rationalize buying one. Hey girl! I'm probably the odd girl out here but I've never heard of a Chi, so now I am going to check it out. I need help bad with my hair. I go to the salon and love my hair then two days later, blah! BTW, I'd so come up from Florida to a Sip and See. I seriously can not live with my Chi! It is the best invention ever for those of us that have that awkward wavy hair! I'm on my second one but I had my first for forever before it finally gave out! Good to know that Sam's has them!! Those cupcakes look delish!!! Yay, Kelly! I am glad you broke down and bought the Chi! I LOVE mine! It really is a good investment. I use mine almost every day!!! You better believe I will be back here in NWA for your sip and see! I will even be at your baby shower! I absolutly love my chi!! Those cupcakes look rich, but very yummy! Can't go wrong with chocolate! I love it when people blog their recipes!!!! I've never seen a chi before. Very interesting. Those cupcakes looked delicious. Yum. Kelly: I can't live without my Chi! I bought myself one about 6 years ago and it's still going strong. When David and I were in Las Vegas I was looking out of the plane window at the tarmac and it looked like my luggage was being put on another plane....my CHI was in that luggage! I about had a cow until David assured me it was not MY suitcase with the Chi inside...but I would NOT have come back to Alabama without my Chi! Darling daughter has a pink one and is a faithful user as well. One morning recently she "chi'ed" Taylor's hair....another generation of Chi'ers coming up. I'm up at 4:00 too excited to sleep cause we're leaving for Savannah about 6:00 today. Check back in a week or so for pics. I really wanna make those cupcakes! They look SO good! YUM-O!